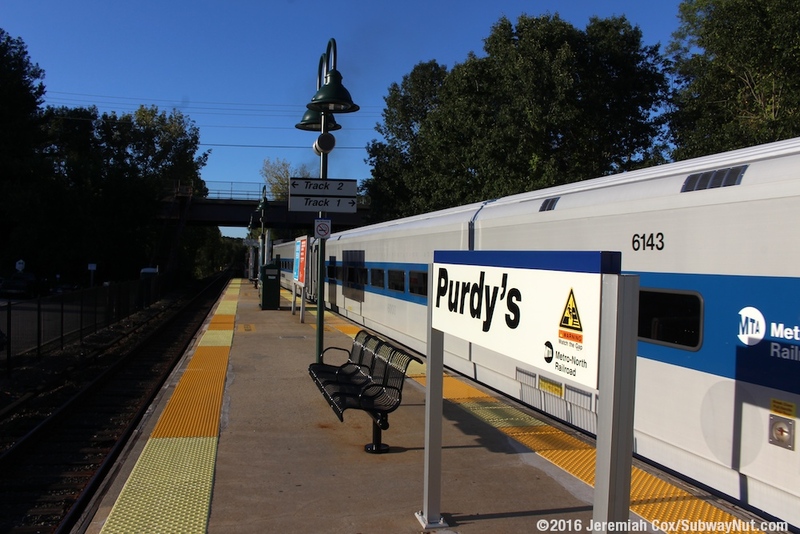 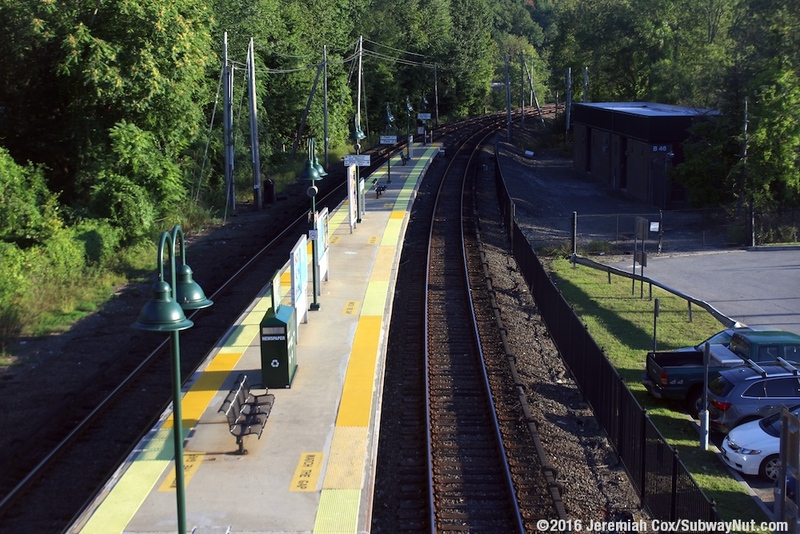 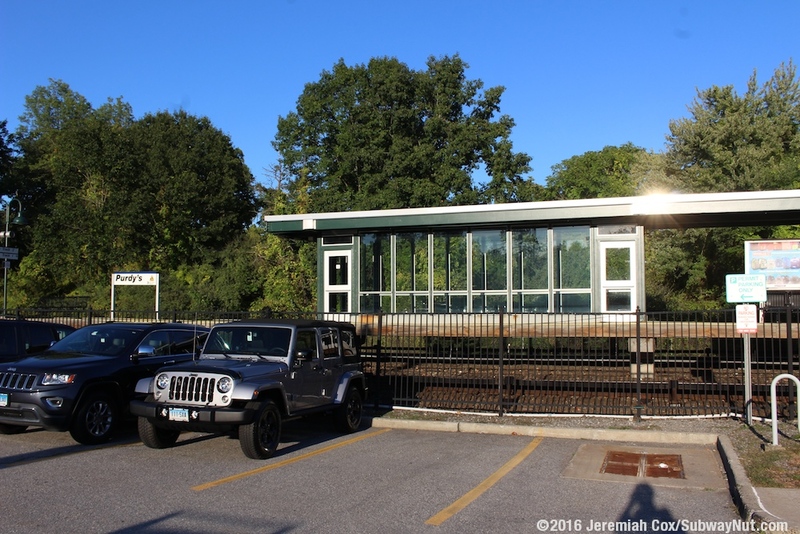 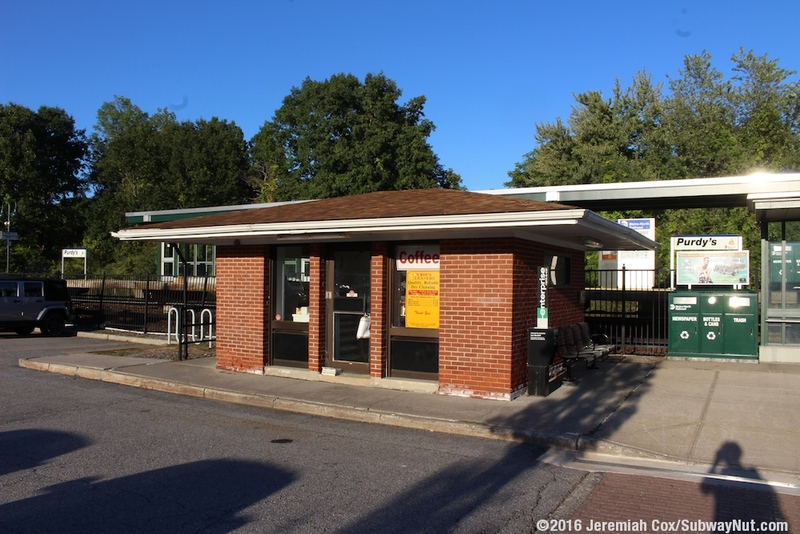 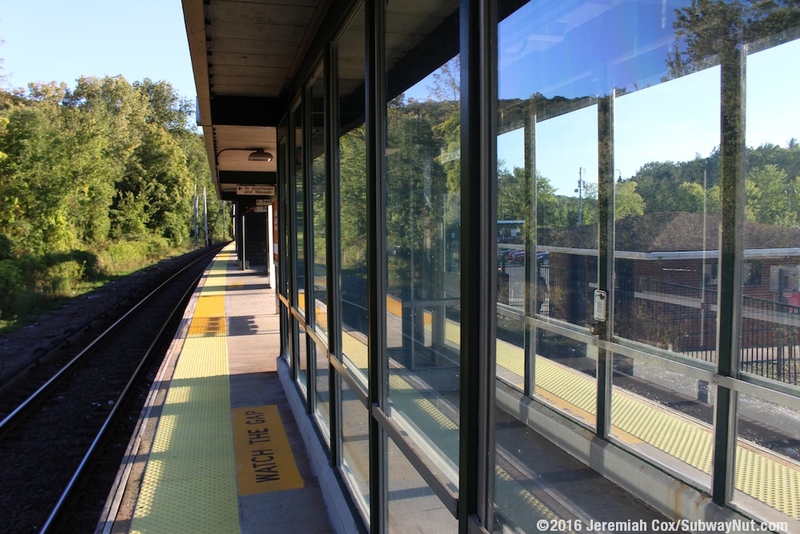 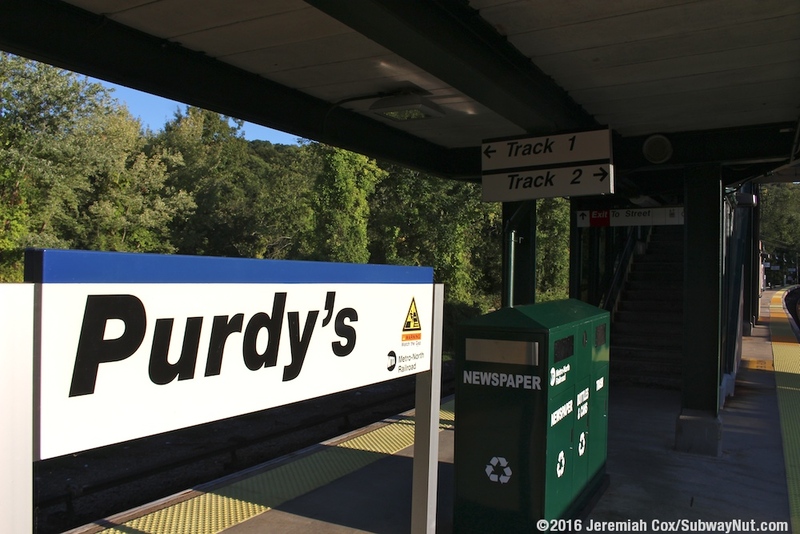 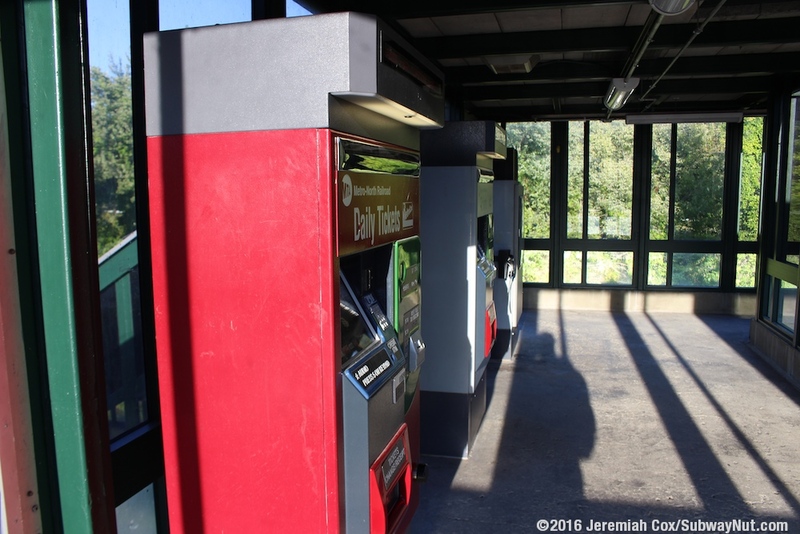 Purdy's is a simple Metro-North Station along the Upper Harlem Line. 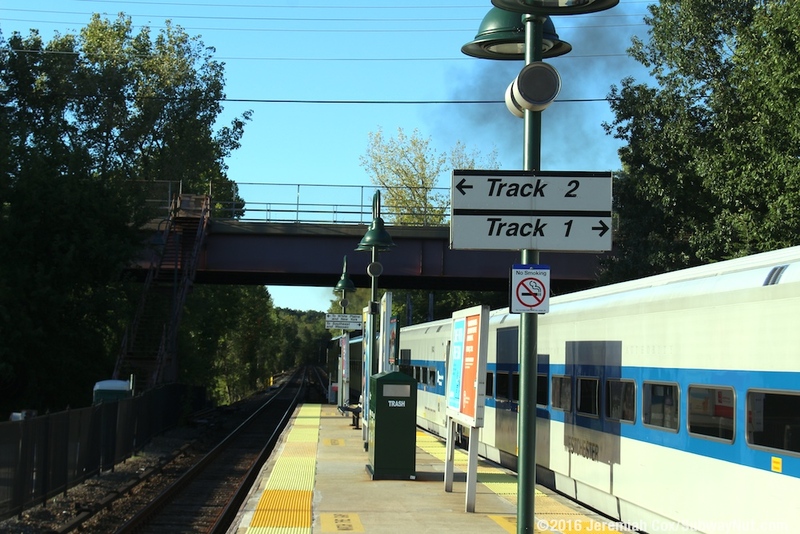 The station is located along the west side of I-684 with trees providing enough cover that that the expressway isn't as visible as at other stations along this line. 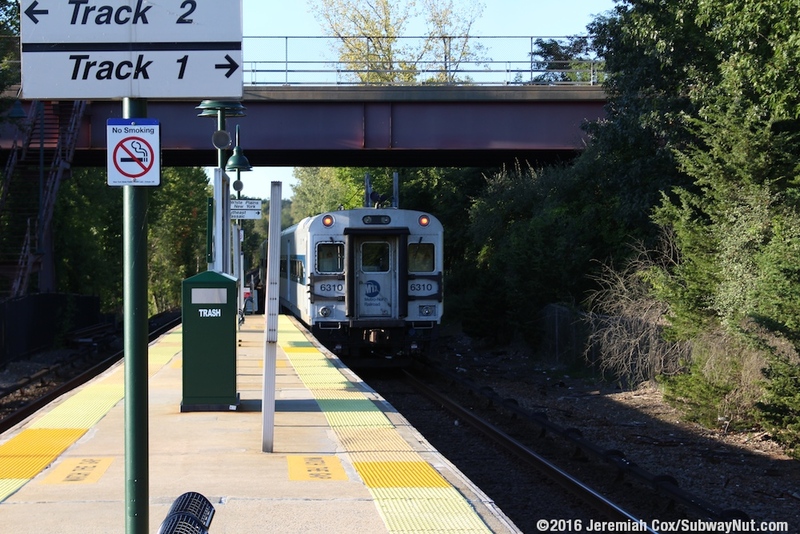 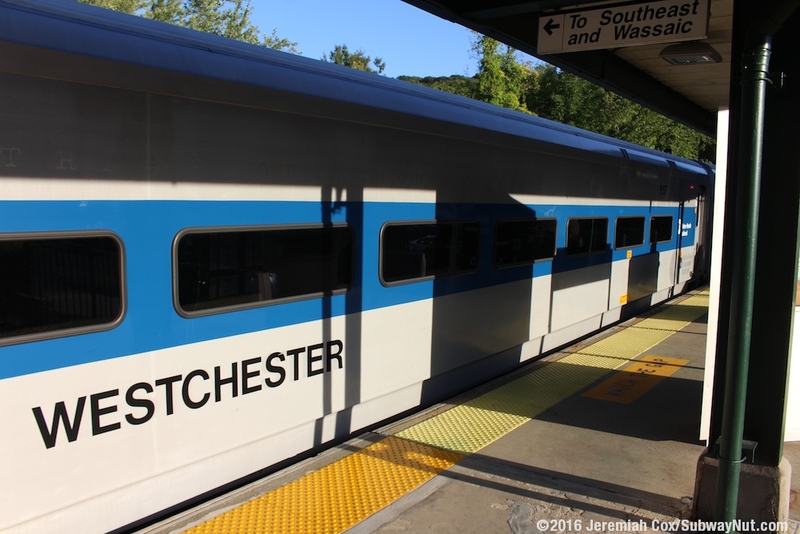 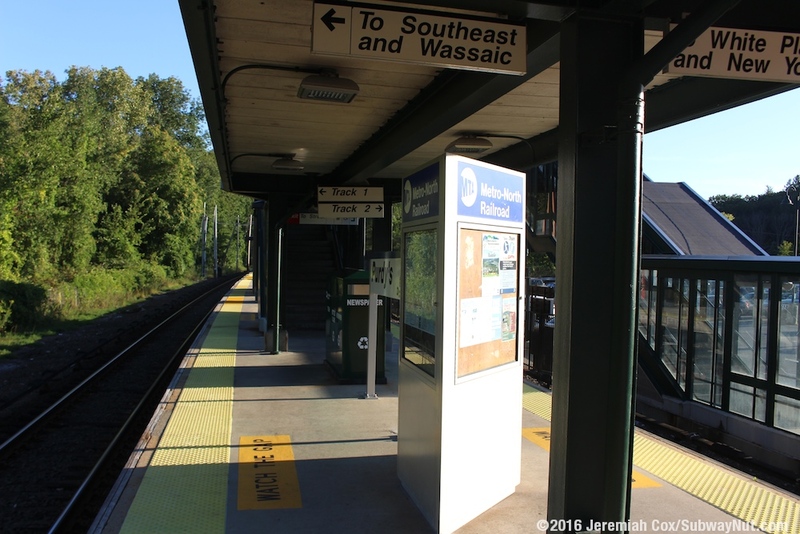 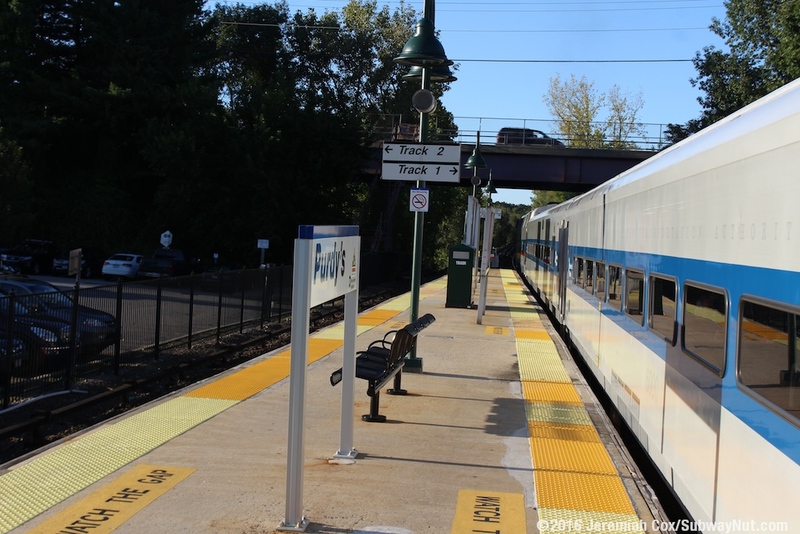 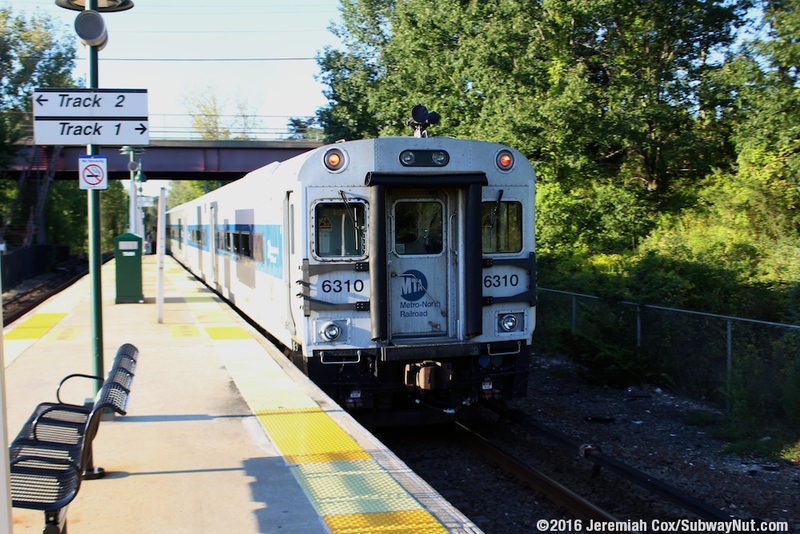 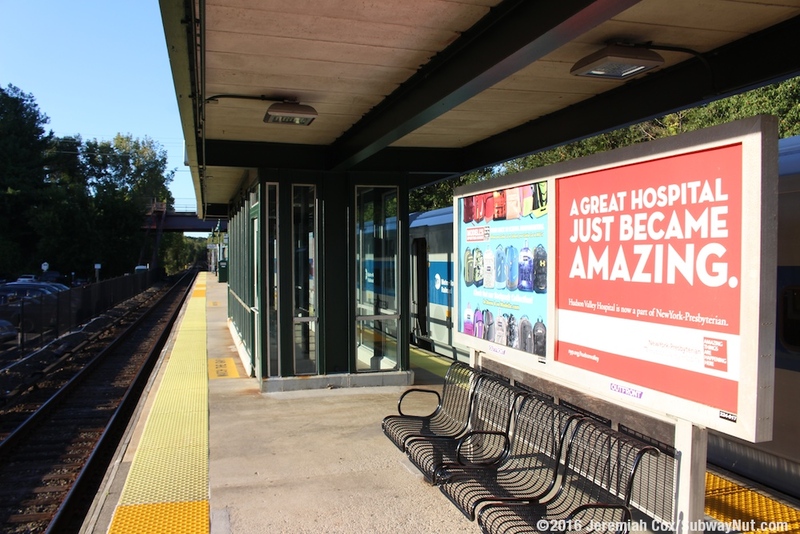 The stop has a single 8-car long island platform that begins a short ways south of the overpass of NYS-116 (Purdys Road) at Exit 7 (a southbound on-ramp, and northbound off-ramp only) and runs south. 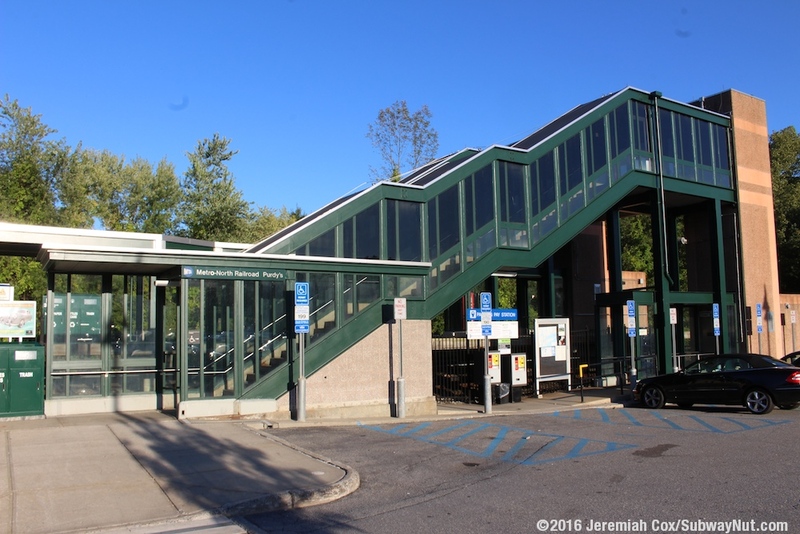 The island platform has a single enclosed pedestrian bridge with a single elevator and staircase leading to the 400 space parking lot. 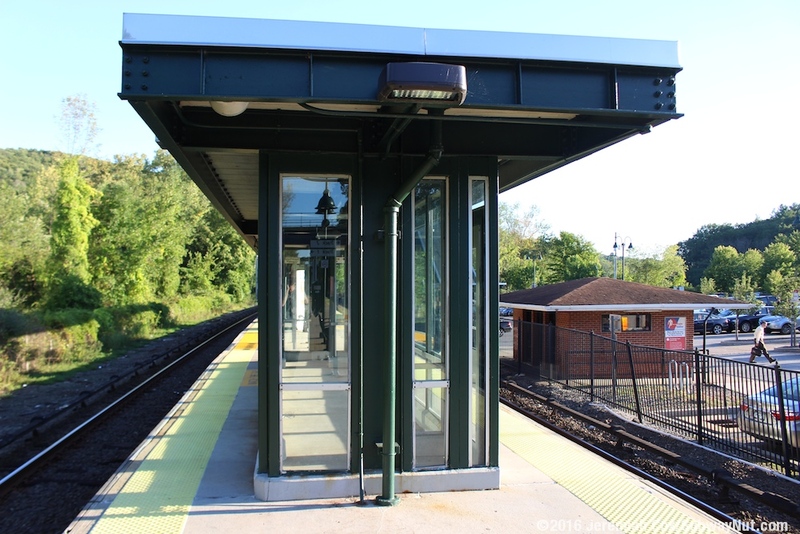 A small canopy covers about two cars heading north from the staircase, otherwise the platform is exposed. 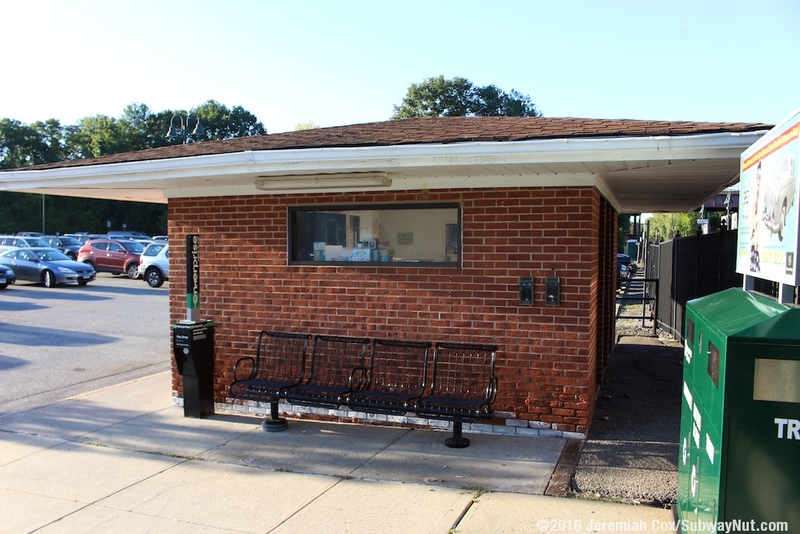 Near the entrance to the parking lot is a small brick building containing a dry cleaners (that appears to be a drop-off/pick-up location with the cleaning done offsite) that also serves coffee in the morning. 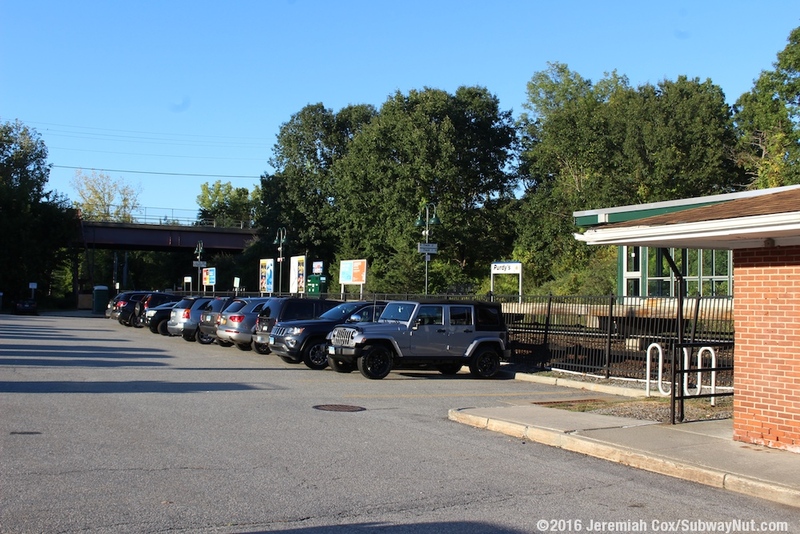 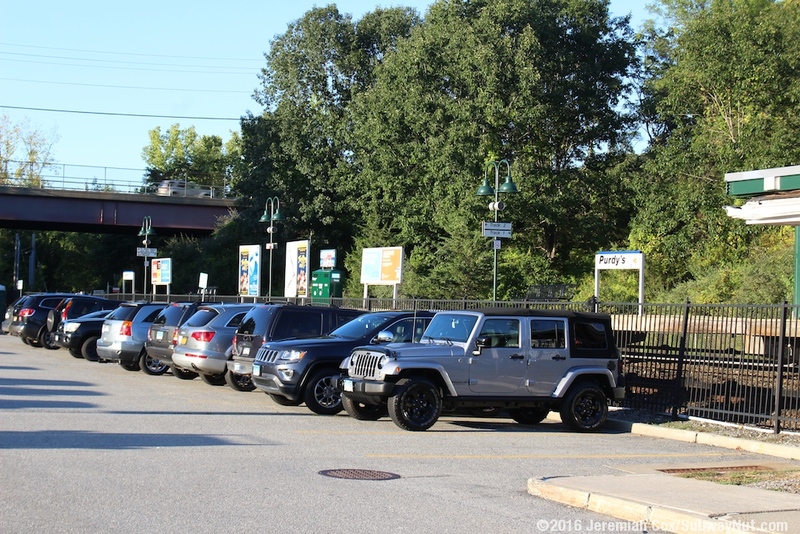 The only vehicle entrance to the parking lot and station is a long driveway that curves around from the southern side of the parking lot and up to NYS-116 that is higher than the parking lot for it's bridge across the train tracks and I-684. 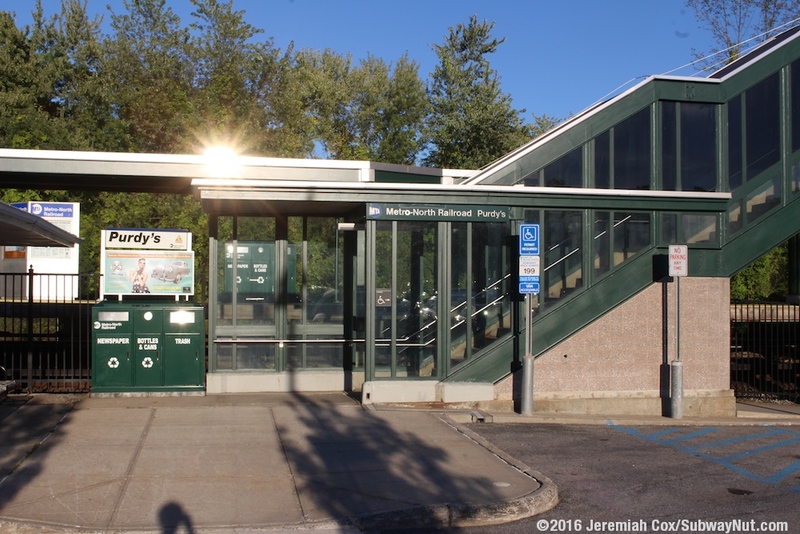 There is also a staircase from the northern edge of the parking lot up to the bridge area for faster pedestrian access to the small village center of Purdy's just east of the station.